WILS will be held on Tuesday, March 19, 2019 from 7:30 a.m. – 12:30 p.m. at The Dearborn Inn-20301 Oakwood Blvd., Dearborn MI, 48124. Tickets are $150.00 per person. Corporate tables are also available. This event will also focus on workplace diversity and acceptance, the “glass ceiling,” “breaking barriers,” work-life balance and building a network. These are just a few of the discussion points MIDC will deliver in an effort to address strategically utilizing women’s varying identities in achieving equity for all women. This year’s keynote speaker, Dr. Valerie Daniels-Carter, is one of the most preeminent business owners in the United States. 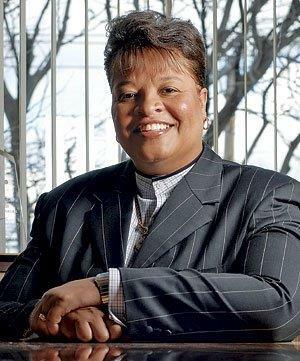 In addition to leading two of the largest fast-food brand operations in the US, she currently serves as a board member to the NFL’s Green Bay Packers and is a minority owner of the NBA’s Milwaukee Bucks. Breaking barriers and shattering the glass ceiling, Dr. Daniels-Carter is consistently recognized as the largest female-owned franchises in the country. In 2017, the American Automobile Association (AAA) elected Dr. Daniels-Carter as the First Female African-American Chair, believing in her abilities to drive the association to improved platforms. MIDC’s 2019 Women In Leadership Symposium is designed to bring together a diverse mix of successful women leaders who, through the discussion of topics relevant to today’s issues, will educate, inspire and encourage women to reflect on their own goals and status as they strive to advance within their organizations.